The First Cut or Trim Notice, issued by Horizon Networks to the tree owner, differs from all subsequent notices because Horizon Networks meets the cost (provided no prior agreement is in place and provided the tree owner grants access to the site). Subsequent tree clearance work will be the tree owner’s responsibility. According to Horizon Networks’ records the trees have been subject to a previous cut or trim at our cost. The trees form a shelterbelt. The trees have been the subject of a previous agreement. Purposely planted production trees e.g., forest harvesting. The tree owner is responsible and liable for the direct costs of this work and to prevent or remedy any damage caused to Horizon Networks’ electricity network. The work must be completed within the time frame stated on the cut or trim notice and you must notify Horizon Networks at least three working days before work is to commence. Refer Regulation 14, Electricity (Hazard from Trees) Regulations. Failure to cut or trim your trees in the specified time frame may result in Horizon Networks completing the necessary work at your expense, to remove any immediate hazard to persons, property or electricity conductors. The costs of any cutting or trimming work. The costs of any isolation, earthing operation and safety operation that is necessary to complete the work. The costs of the removal of any debris. The costs of remedying any damage to works, where that damage arises (whether directly or indirectly) out of a tree owner’s failure to comply with the requirements of these regulations. Cutting and trimming trees in the vicinity of power lines is dangerous. Touching the live power line or a tree close to the line, can result in serious injury or even death by electrocution. Under the electricity regulations, no person is permitted within four metres of a power line without approval. In the Eastern Bay of Plenty region, this approval can only be granted by Horizon Networks. 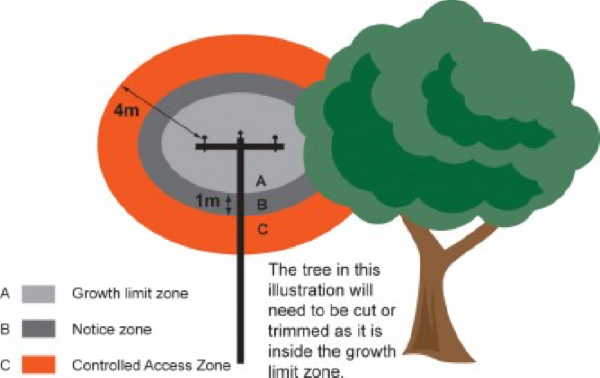 An approved contractor must be used if any part of the tree is within four metres of the power lines. Remember… no DIY tree trimming near power lies. 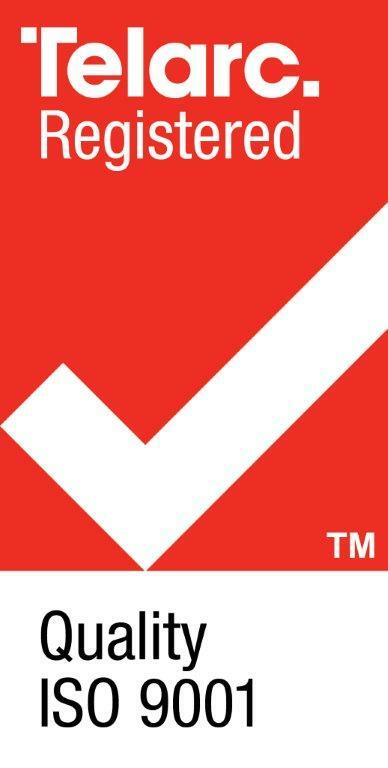 Use an approved contractor. The above table explains the action codes that may appear on the notice. 1. The above distances are from power lines. 2. Distances must be maintained under all conditions, e.g. high wind. 3. Low voltage is the power line between the house/building and Horizon Networks’ transformer. It is important to realise that larger trees located outside the minimum safe distance from power lines can still fall through the lines. Any work that occurs within four metres of power lines requires Horizon Networks consent. Think before you plant your trees. Serious consideration should be given to the species and placement of trees on your property to ensure they don’t interfere with the power lines now and in the future.